College is a wonderful time of learning and self-discovery, but binge drinking and not drinking responsibility can ruin this experience or even endanger a student’s life. While plenty of people choose not to drink in college, roughly 3 out of 5 students did as of 2013, according to the National Institute of Alcohol Abuse and Alcoholism, part of the National Institutes of Health. 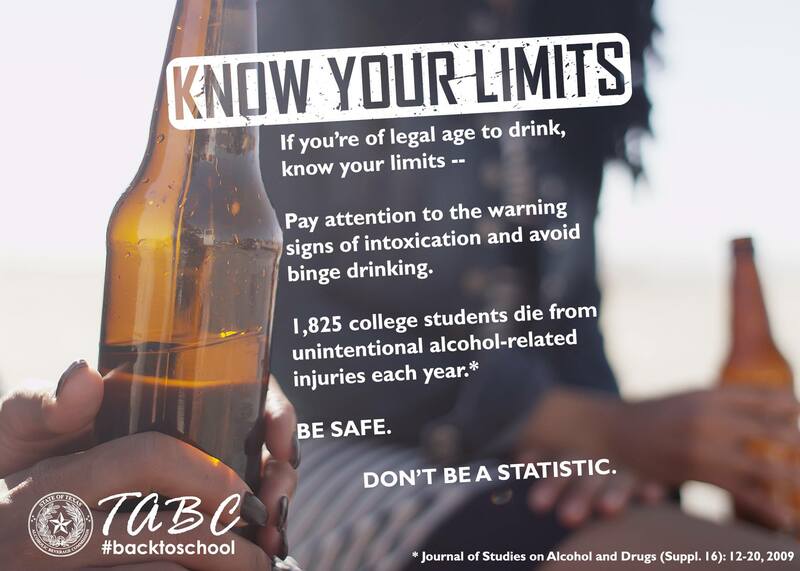 The NIAAA has found that – on the average – 39 percent of students between the ages of 18 and 22 reported engaging in binge drinking (5 or more drinks on one occasion) in a month. Alcohol by Volume (ABV) – Represents the volume of liquid that is ethanol compared to the entire volume of the drink. Alcohol by Weight (ABW) – Represents the weight of the liquid that is ethanol compared to the entire weight of the drink. them, and includes spirit coolers that may have an alcoholic content as low as four percent alcohol by volume and contain plain, sparkling, or carbonated water and may also contain one or more natural or artificial blending or flavoring ingredients. fruits, berries, or honey, and includes wine coolers. 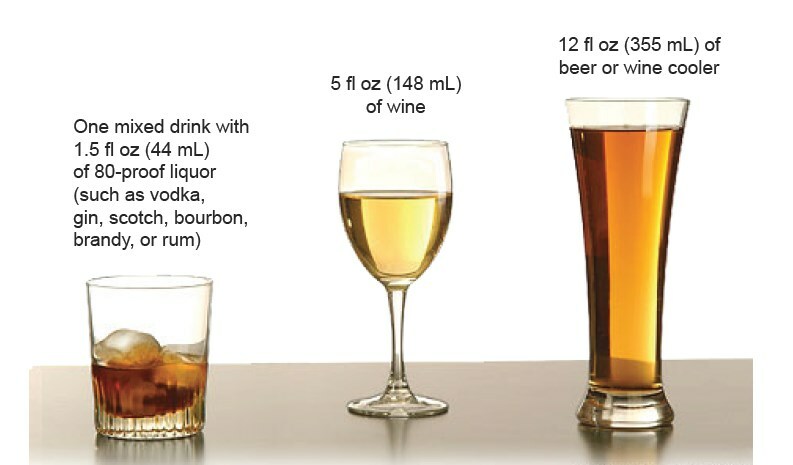 Standard Drink – Standard drink charts are helpful, however they may not reflect customary serving sizes. What counts as a standard alcoholic drink? In general, the risk of students experiencing these problems is greater for those who binge drink than for those who do not binge drink. A college campus most likely has a counseling center with resources for addressing alcoholism, and there are local Alcoholics Anonymous chapters in virtually every city, not to mention options for support from mental health professionals or rehabilitation centers. Look through the NIH website if you’re trying to decide what’s right for you.